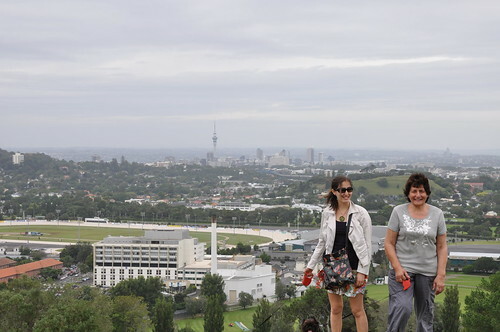 One Tree Hill is an icon in Auckland’s landscape – the largest volcano on the skyline with a tall monument at the top. 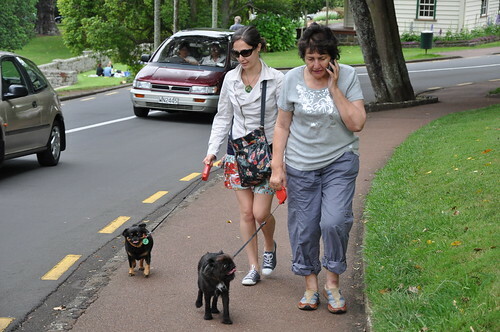 It’s surrounded by a great park, Cornwall Park, and is a nice place to walk dogs. So that’s what we did. The hill used to have one tree at the peak, but due to a chainsaw attack, the old pine tree that was there died. So now it’s nicknamed ‘None Tree Hill’. 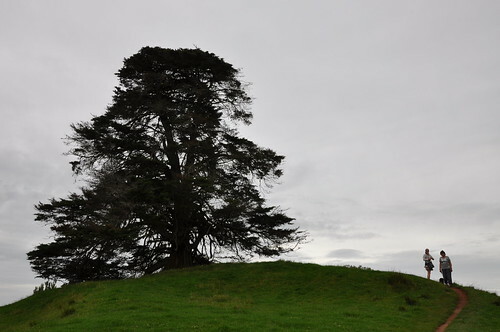 The local iwi don’t want a replacement tree planted until their Treaty of Waitangi agreement is signed. Patience until then I guess. 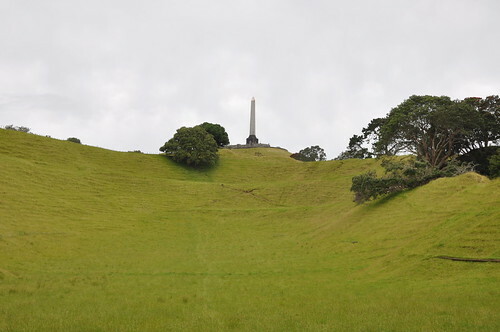 The 183 metre volcano was the largest and most intensively settled pa (Maori settlement) in Auckland, and was the centre of the Maori occupation during the 18th century when tribes of the region were united under the paramount chief Kiwi Tamaki. Would’ve been a sight to see. 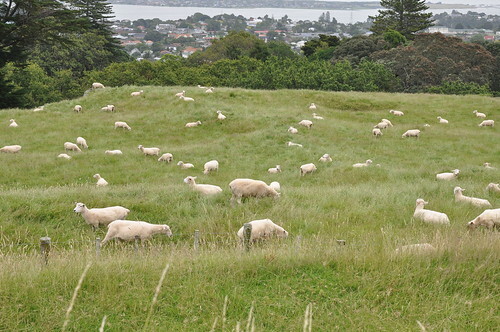 The monument itself is on the grave of Sir John Campbell who gifted Cornwall Park to the city. 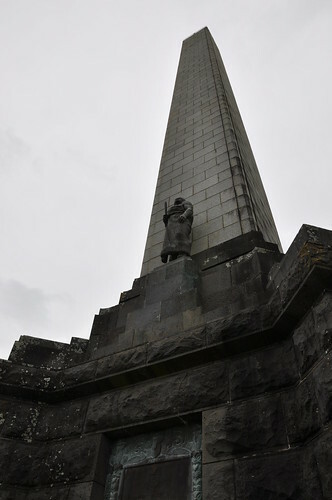 He requested in his will that an obelisk be constructed to commemorate his ‘admiration for the achievements and character of the great Maori people’. Such a great view from the top. I might be biased, but it was wonderful to see my home town laid out. 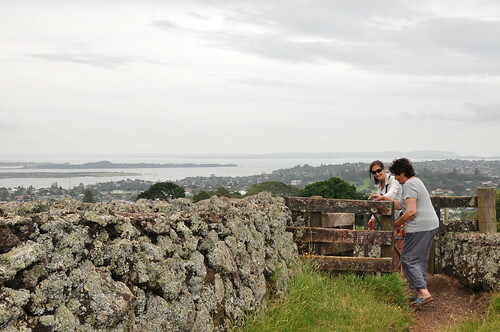 In this photo below is Mt Eden (Maungawhau) on the left, then the city scape just to the right behind it and on the far right is Rangitoto in the background. What a beautiful city. Thanks to Mum for the great walk, and a little bit of history as well.